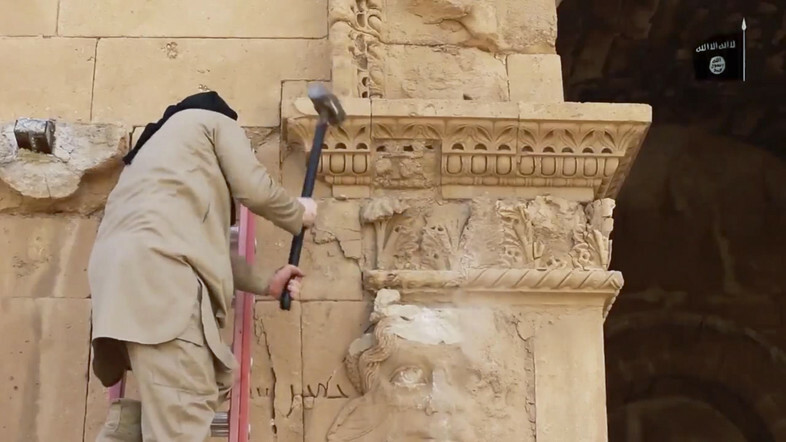 Lord, today we pray about another aspect of ISIS’ evil work: the destruction of sacred sites. Lord, we know places and temples are not eternal. We know it is people’s souls and your Word that last. These are our priority. However, we grieve when we hear of places like the Mar Elian Monastery, Monastery of St. Elijah, the Mar Behnam Monastery, and so many more Christian heritage sites destroyed in the name of a false God. We cry out with the psalmist, “O God, the nations have invaded your inheritance; they have defiled your holy temple, they have reduced Jerusalem to rubble. They have left the dead bodies of your servants as food for the birds of the sky, the flesh of your own people for the animals of the wild.” Lord, open these terrorists’ eyes to truth. Make them know the futility of their deeds. Uphold and strengthen those who seek to preserve sacred relics. And, most of all, uphold and strengthen those who seek to preserve lives. In Jesus’ name we pray, amen.